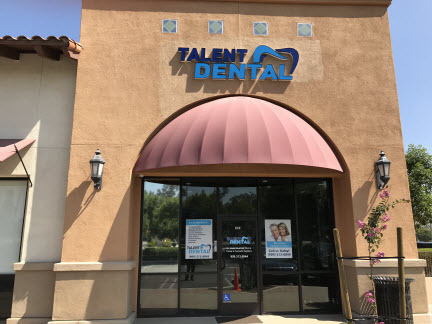 Talent Dental provides general, cosmetic, and restorative dental care in Rancho Cucamonga. Matta Botrous, DDS, is your skilled professional who has a passion for healthy teeth and happy smiles. Our practice invites families to receive quality care in a comfortable environment, where all ages are treated with respect and compassion. Dr. Botrous and our dental team provide comprehensive treatment that ensures a beautiful smile for years to come. 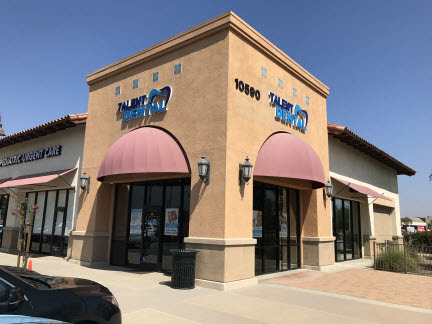 You can find our state-of-the-art practice in the Haven Town Center, right across the Mobil gas station. Call to schedule an appointment with our kind staff today! Feel free to browse our website for our full list of treatment options! Dr. Botrous sees children as young as one to begin their oral care routine and instructs parents on the best hygiene practices for their child’s developing smile. Besides younger patients, we see teens, adults, and seniors, delivering age-specific care to achieve optimal oral health. We give every patient personal care and attention as if they were our own family, ensuring high-quality treatment for top-notch results. To help more patients afford necessary treatments and cosmetic improvements, we have an extensive list of accepted insurances and financing options. Whether you have a PPO, HMO, or MediCal, we can accommodate your needs. We also accept finance plans through Lending Club, Enhance Patient Financing, and CareCredit, breaking down the cost of dental care. If you have questions about insurance or financing, please reach out to us. To schedule your next dental cleaning or treatment, don’t hesitate to call us. We look forward to seeing you in our practice!